Take Your Best Shot (Book I), 3rd Edition - is THE most highly respected and sought-after shooting primers, shipped to 14 countries. If you're looking to learn the fundamentals to build a solid foundation for shooting consistently, order your copy of Take Your Best Shot today. It may be one of your very best investments! 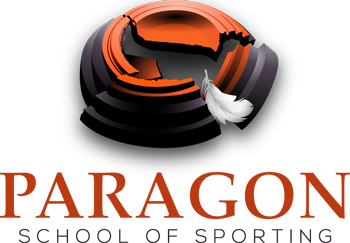 Recommended for all shooters, Coaches, Instructors and parents of SCTP, YESS and ACUI shooters. As a successful youth clay target Coach and competitor, I assure you, the shooting fundamentals are vital, the absolutely necessary foundation under developing consistency and improving performances every time the trigger is pulled. Take Your Best Shot is the greatest publication ever written on how to increase X’s on a scorecard and put more game birds in a hunting vest. In plain language, Take Your Best Shot teaches the essential, non-negotiable basics for building shooting excellence. It should be a required text for every clay target shooter, Wingshooter, Coach, Instructor and parent of a youth shooter who is looking for a step-by-step shooting “system” that is easy to understand, repeatable and utterly dependable. Take Your Best Shot is not only the best but the only book that provides this knowledge. Seriously – Take Your Best Shot is a must have for every shotgunner. Take Your Best Shot is the best clay and wingshooting shooting primer on the market that I have ever seen. The brilliance of its simplicity aids in getting across the correct messages for successful shooting for ANY clay/wingshooting shooter, let alone a new shooter. As a master instructor, founder/Head Coach of the Jacksonville University Varsity Shooting Team (a national championship program), and JU faculty member, Take Your Best Shot is standard reading for ALL of our varsity shooters. Dan has managed to capture the basics beautifully, and he has placed them in an easy, simple-to-follow, witty presentation. My students love the book and read it time and again. Highly recommend, no matter what your level of shooting experience and expertise. Don N Lisha Sante Got my three book set. Read book I and can’t put book II down. Can’t wait to apply all I’ve learned tomorrow now that the rains gone. Steve Powers I got my copy about a month ago. I’ve read it twice, cover to cover & reviewed the sequence of steps multiple times. Good Book. Jim Butler I've read my copies twice now and it has absolutely picked up my game. Joined a sporting clays league this spring. Increased my top score by 7. Thought them to be expensive at first, but now find them extremely valuable now. Telford Scott Great book !! Simple steps with great results!! Randall C. Burl Best investment a shooter could make! David Parks Received mine yesterday and have one chapter left to read. Can’t wait to get to the range and practice the new techniques I have learned. Now I feel like I have a system to work with instead of shoot and hope. Bill Fibelkorn Called the number on their website, (leary of ordering through Facebook posts) and Mr. Schlinder himself answered the phone. One of the most pleasant people I have ever talked to about anything. Whenever I get a chance to get down his way, I am going to get in touch with him to shoot. Got my books this weekend, read the first one and it reminded me of the basics. Just started on the second one, going to keep reading them over and over. The best reading you have for shooting clays.